Many of the play ideas I post here happen as a result of my children taking some everyday materials and experimenting. Having a well stocked making box (which really doesn’t mean lots of expensive art materials) and permission to help themselves to some of our kitchen supplies often leads to all sorts of creativity and learning. 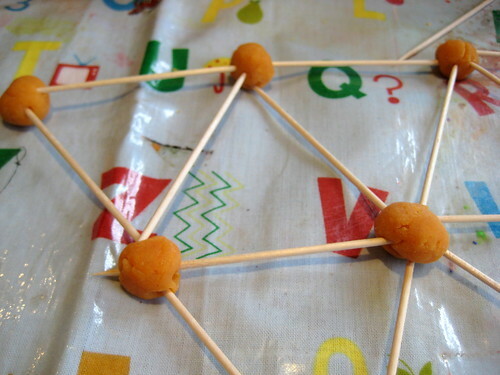 Today’s post is an example of how a fusion of two materials can produce lots of thinking about maths, dimensions, construction, creativity, role-play and of course plenty of fun. You know we use play dough at lot in our house. I think it might just be the one play material we’d pick above all others. We’ve played with it week in week out for almost nine years! I’ve talked before about how much learning can be included in playdough play but the key thing to get the most from it is to mix things up a little. This week we’ve been mixing things up by adding toothpicks to our playdough. If you saw our Mad Hatter’s Tea Party you’ll know the toothpicks were intended to make an edible hedgehog – but B knows a great playdough idea when she sees one! She wondered if the playdough would work as a ‘glue’ to hold the cocktail sticks together – and look what happened. Triangles and squares began to appear – and lots of wondering and experimenting started happening. Could you mix different shapes together? and re-inforced homes for them to live in. 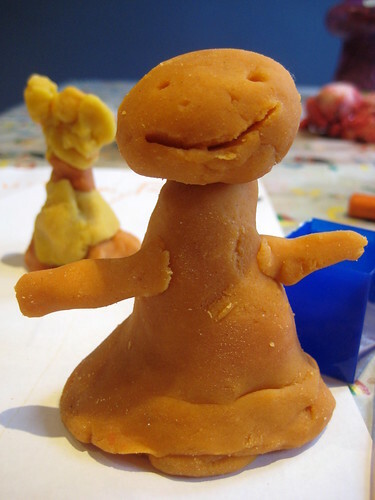 Are you playing with play dough this week? 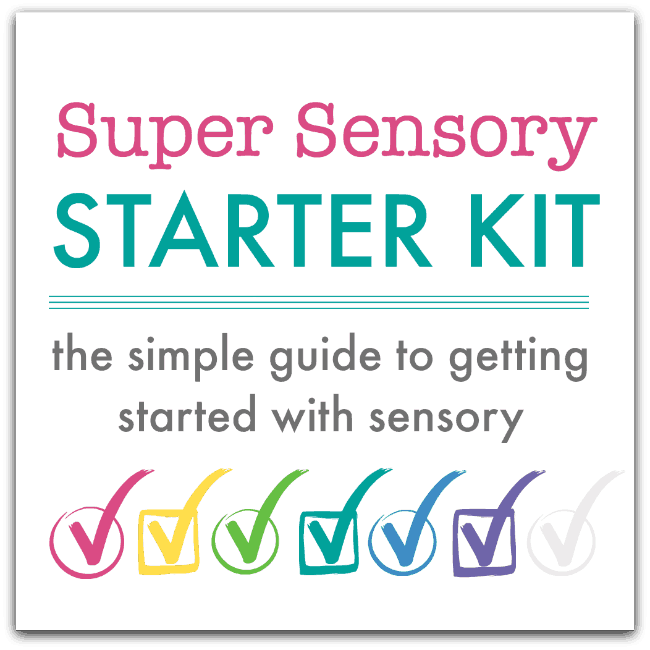 What could you add in to give your children a different experience this time? 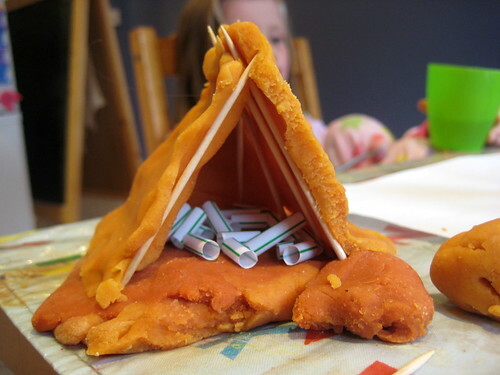 If you’ve already tried playdough with cocktail sticks maybe you could try twigs, straws, art, shells or candles? i’ve seen this done with baby marshmallows but there is no way my son would stop eating them long enough to make shapes – but playdough, now that is doable. Wow! What a great idea! I love the tent! My favorites are the geometric shapes! 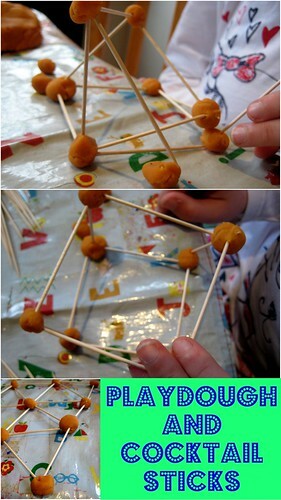 We were going to try this with marshmallows but I think we’ll try play dough, instead! Thanks! Love that we can use play dough in place of marshmallows. Marshmallows are too tempting in our house. Another language difference – we call them toothpicks instead of cocktail sticks. I love those geometric structures! I think my kiddos are a bit too little for unrestricted access to sharp implements, but I am definitely going to add some straws and lolly sticks in our playdough kit now! So fun! 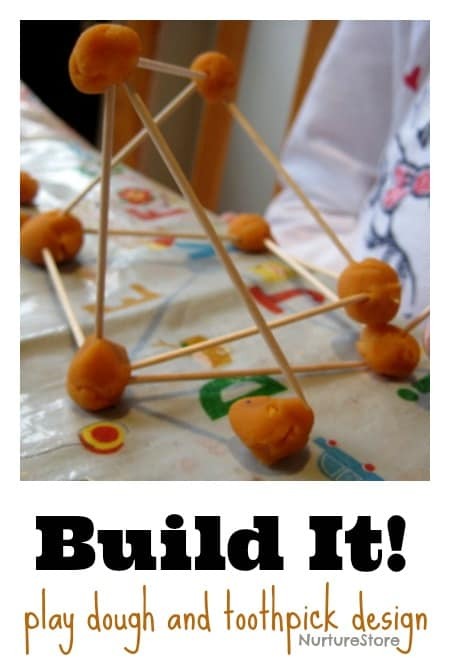 Another great idea for playdough! How lovely! I specially like the tent!